ESTIMATED COMPLETION AUGUST 2018! *Price will increase once design selections are complete. 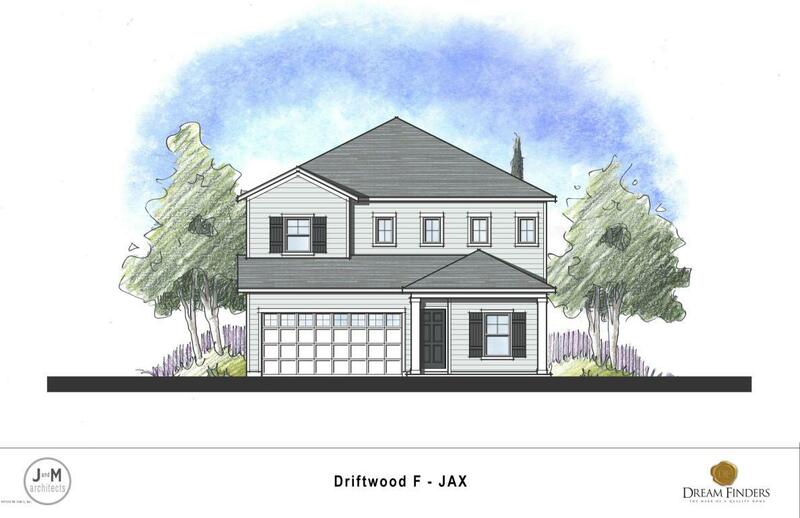 The Driftwood ''F'' elevation has two columns on the front porch, this floor plan includes 3 spacious bedrooms, 2 baths , and a 2-car garage! This layout begins with a single front door entry that opens up to a study which features double doors. The formal dining room is spacious and inviting. The great room has a beautiful large bay window that brightens up the main living space with natural light. The kitchen has a large California island, granite counter tops, 42'' cabinets with large crown molding, stainless steel appliances including 36'' gas cook top, Italian design wall-mounted hood, microwave, self-cleaning oven, farmhouse sink and a counter-depth side by side refrigerator. The single tray..ceiling in the great room is complimented by the pocket sliding glass doors which create the perfect indoor/outdoor atmosphere! The master suite boasts a double tray ceiling with a luxurious master bath including an oversized walk in shower with tile surround, and an extra-large walk-in closet leaving nothing behind. Built with the Zip System and Advantech Subflooring, our construction offers the strongest wall and flooring systems on the market, provides top of the line moisture barriers and superior stability! Once again proving that Dream Finders Homes offers the best value at every price point, you should come see the difference for yourself! Seller pays all closing cost and prepaids with preferred lender. NATURAL GAS COMMUNITY! Trane Air Conditioning Unit with the Nest Programmable Thermostat. HURRY WONT LAST!!"